Bioanalytical Systems B.A.S. LC-4C Amerometric Detector 120V . New Life Scientific, Inc. There are two channels for this detector “Generator and Detector." 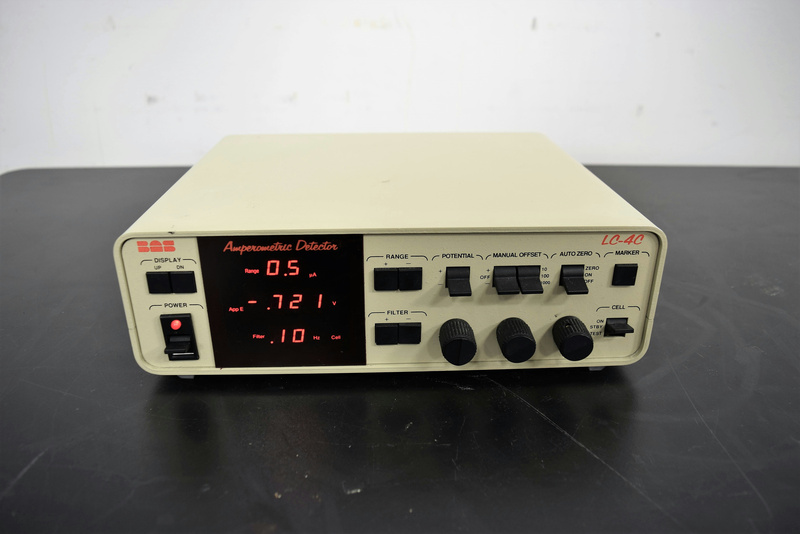 The Amperometric detector is for thin-layer flow cells and the Generator conducts redox reactions at an upstream electrode. The detector channel applies a potential and measures the current response, and the generator channel can apply a potential. The technicians confirmed that the buttons respond when testing this instrument, but mock runs were not performed.